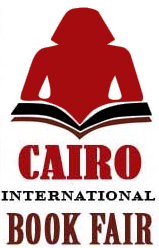 The 43rd Cairo International Book Fair (CIBF) has been, of course, cancelled. The CIBF was due to open January 29 and continue through February 8, with China as the guest of honor. The cancellation of the CIBF will hit the bottom line of Middle East publishers, many of whom depend on book fairs to sell the majority of their books. Just before the weekend the state-run Al Ahram newspaper reported on its front page that Mubarak would still be opening the annual book fair on Saturday and the fair’s official website on the Arabic page shows the now defunct Minister of Culture Farouq Hosni (replaced yesterday by pro-Mubarak literary critic Gaber Asfour) signing an agreement that was to have taken place with the Chinese delegation. The Chinese delegation that had traveled to Egypt –- bringing with it 248 publishers and 10,000 books –- apparently left Cairo last Thursday. In all, some 630 publishers from 29 countries, including 17 in the Middle East, have been affected by the delay. The IPA was planning on holding their next board meeting in Cairo in February but it now looks like it will be held in Paris, said Alexis Krikorian, director of the Freedom to Publish section of the IPA in Geneva. The CIBF is the biggest fair in the region and an important one for the Arab world. Last year the fair received an estimated 1.8 million visitors. The fair had already suffered an upheaval this year with a move to Nasr City Fair Ground in the suburbs from the Cairo International Conference Centre (CICC), which had been its home for 42 years. “The Cairo Book Fair was, as usual, much anticipated and the decision to postpone it was literally made when we had just set up,” said Mark Linz, director of the American University in Cairo Press, in a telephone interview from his home in Cairo. The AUC press, which is celebrating its 50th birthday this year, is the leading English-language publisher in the Arab world. It also licenses foreign editions of Arab writers in 40 languages, including the works of Alaa Al Aswany, Zahi Hawas (who was named State Minister for Antiquities yesterday) and the late Nobel laureate Naguib Mahfouz. The fairgrounds, however, are in a secure complex in the city’s suburbs, so for the moment the stands and books are safe, said Linz, who added that AUC press sells books worth well over 1 million Egyptian pounds, or about $171,000, at the yearly fair. AUC press also has a bookstore on the corner of Tahrir Square, where the largest demonstrations are being held in Cairo. So far no damage has been done to the shop although Linz said a few rocks had been thrown through the office windows above the bookshop. Publishers from other Arab countries have had to leave their books behind in the deserted fairgrounds. Dar al Saqi, the Beirut branch of the London publisher, Saqi Books, had already shipped hundreds of books to Cairo ahead of time. The sales and marketing manager left Beirut for Cairo last Wednesday and found the Fair mostly empty, said Salwa Gaspard, of Saqi Books in London. He flew back from a chaotic airport on Friday, but had to leave the unopened boxes of books behind. “We don’t know if we’ll ever get the books back.” Said Gaspard, adding that Dar al Saqi makes on average $60,000 at the Cairo fair. “Now we’re getting worried about the book fair in [Casablanca] Morocco next week” Quipped Gaspard.